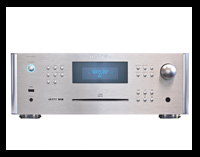 The products from Rotel - DVD and CD players, preamplifiers, surround sound amplifiers and receivers, power amplifiers and more-are unique. They come from a 40 plus year old, family owned organization dedicated to the design and manufacture of the finest in affordable, high performance home theatre and high fidelity components. We use the word "manufacture" advisedly. They make everything from core components to complete products themselves. In their own factories. Under their own control. Balanced Design Concept combines both hard science and experienced intuition to bring you closer to the source... any source, be it movies or music... and to let you hear without compromise exactly what the artists intended you to hear. Nothing more. And certainly nothing less.